Over the past year or so Rob has been working very hard on a super exciting collaboration, which we’ve kept under wraps until now, with The Gro Company. 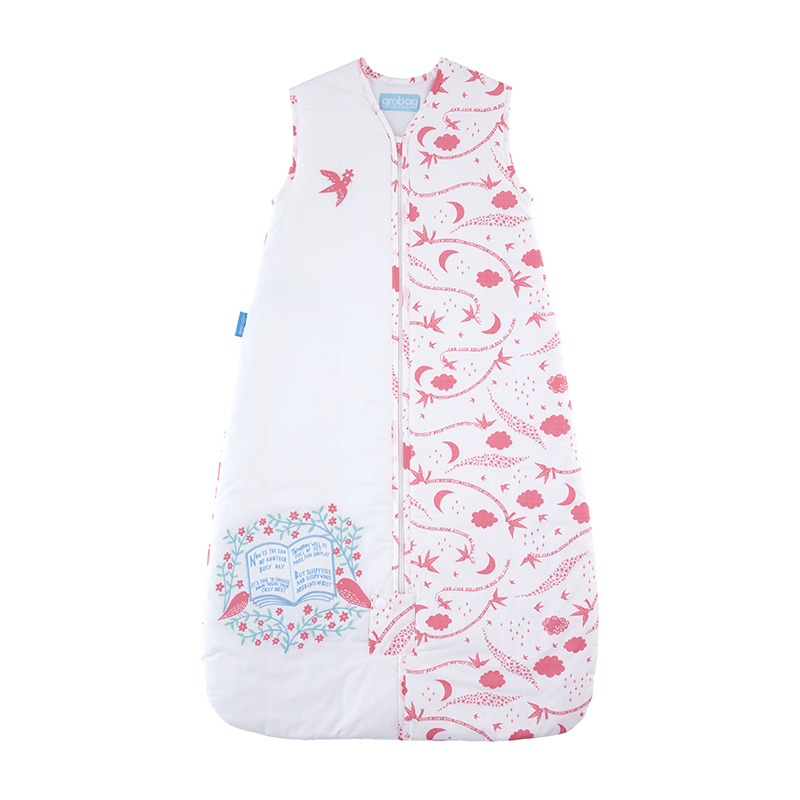 The Gro Company was founded in 2000 by two parents who were struggling to get their baby to sleep soundly. 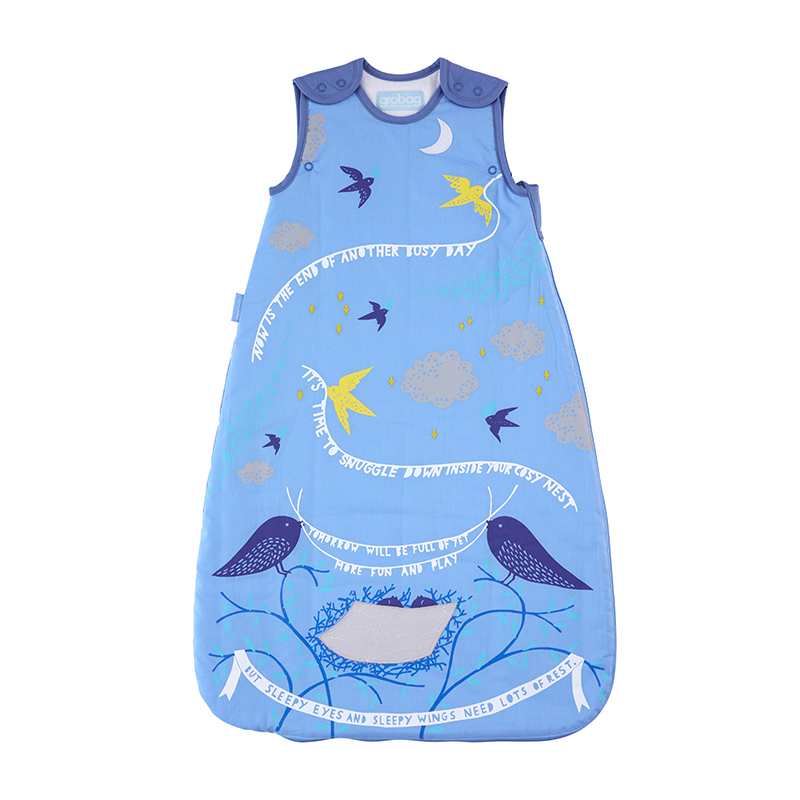 They discovered baby sleep bags and after a peaceful 12 hour sleep, Gro was born. 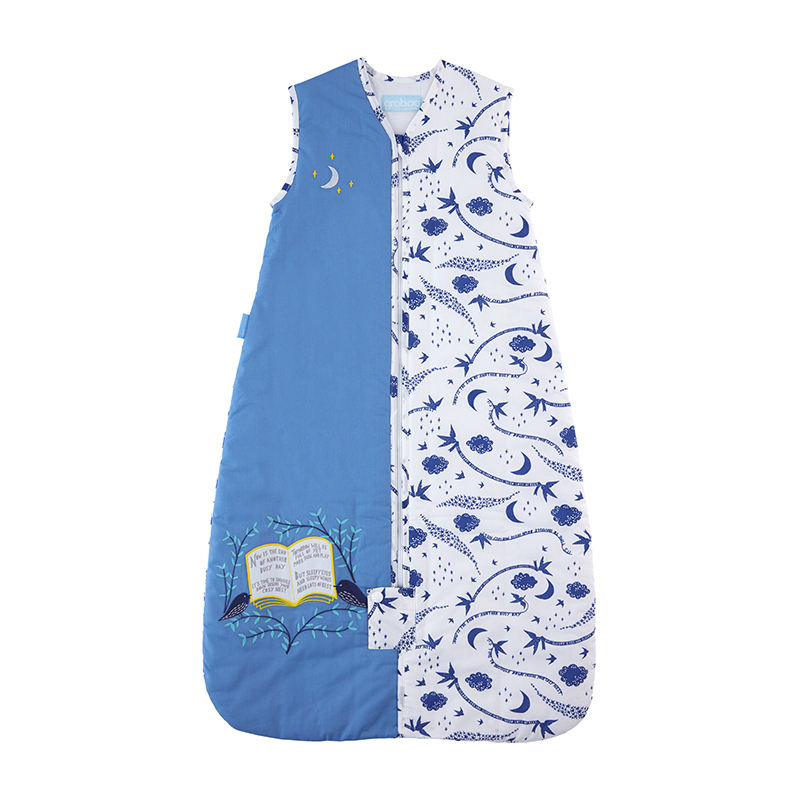 Gro’s sleeping bags are designed to be used instead of a sheet, becoming a wearable blanket that will keep your baby at a comfortable temperature all night long. Gro sell worldwide but are primarily based in Exeter, UK. 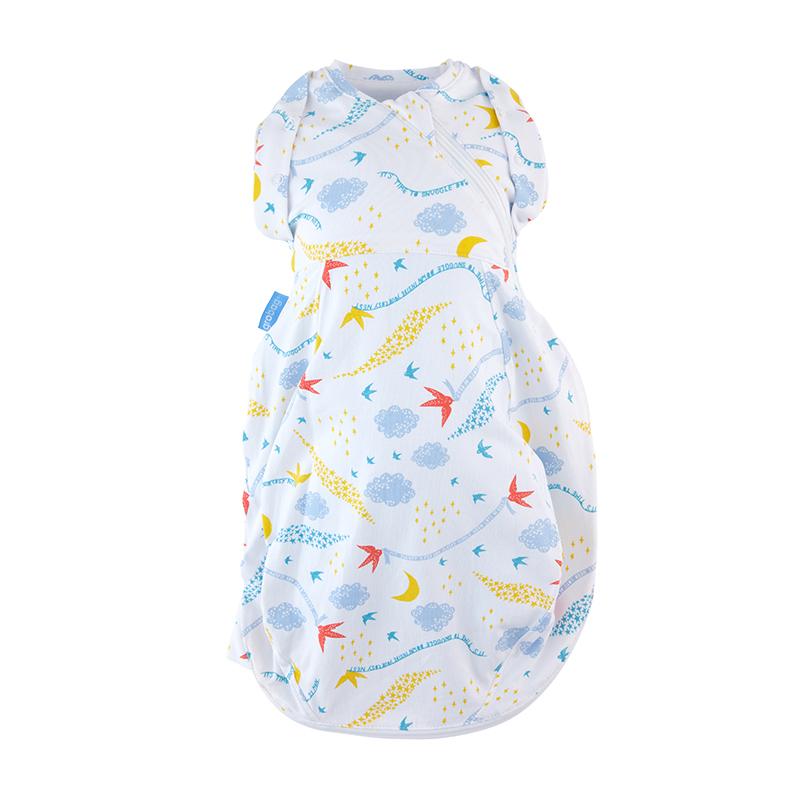 Rob was approached by Gro in 2016 when they came to the studio and introduced him to their brand, having been over 20 years since Rob and his wife had their children the world of baby sleep ware had changed completely! 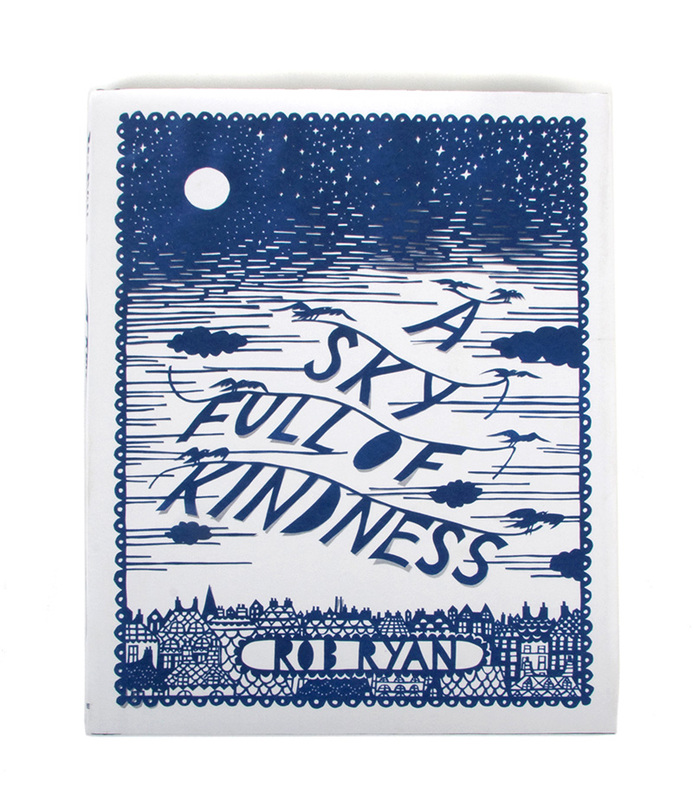 Rob felt that the brand would be a good fit for his work and discussions began about developing a design with a similar feel to his book ‘A Sky Full Of Kindness’, Rob set out to weave a story or lullaby around a scene depicting baby and parent birds. 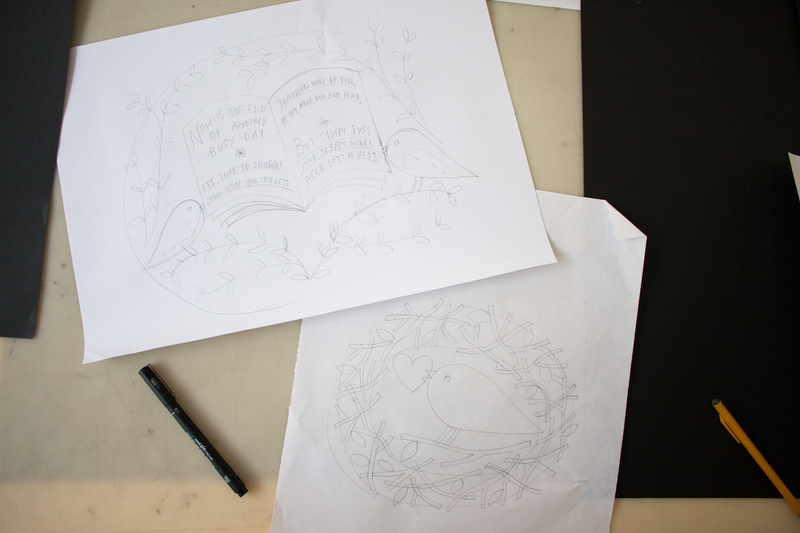 We thought we would give you a behind the scenes look at the design process for some of the pieces. 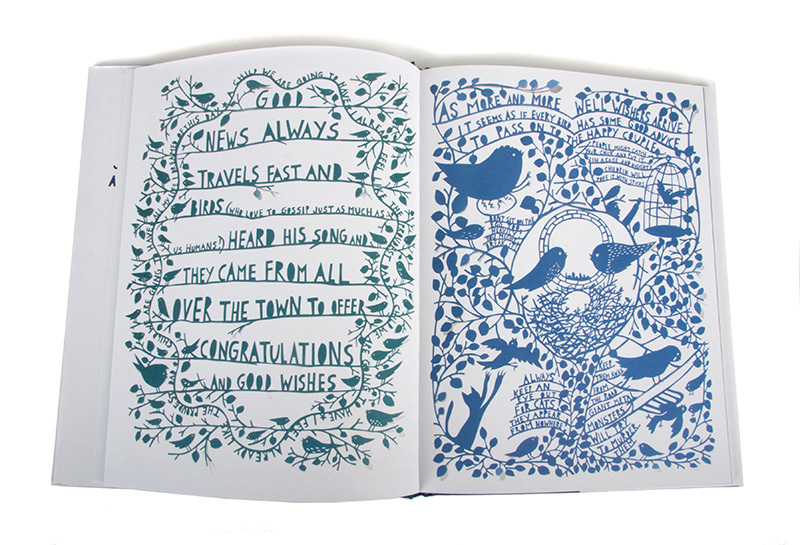 Rob began by making notes and developing the words for the work which would be the core of the design. 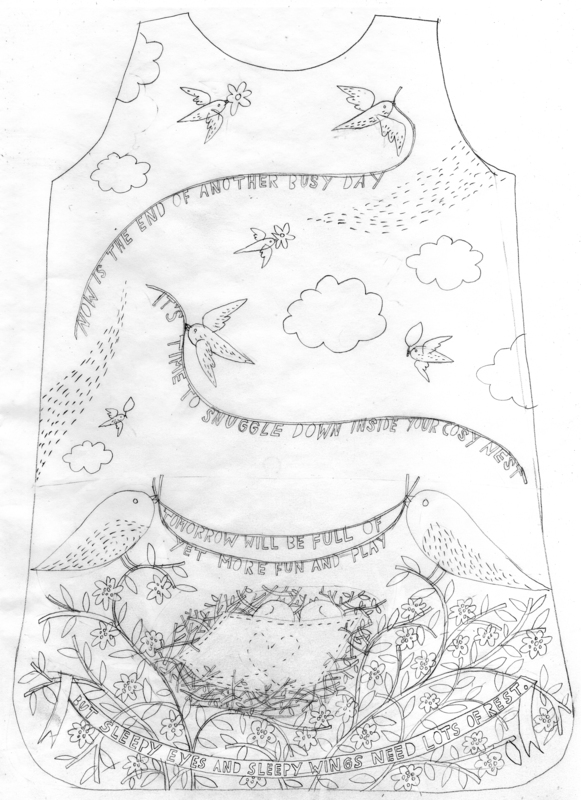 Once he had these he started to weave a design around the words in pencil. He will usually come up with an idea for a design and sketch it out quite roughly but will spend some time re-drawing the design multiple times to refine it. The drawing gets scanned onto the computer and the spaces between the lines are filled, so it becomes a silhouette artwork. 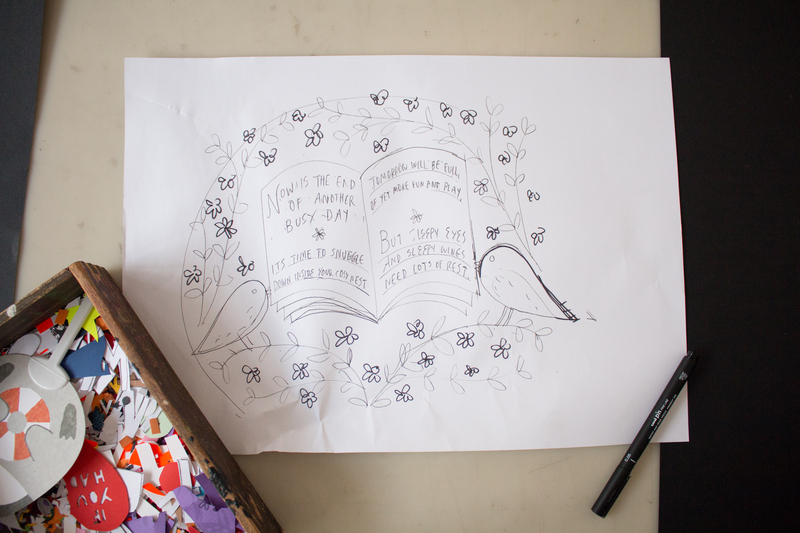 Rob then prints this out again and makes any additions he feels are necessary, this process often gets repeated a few times until Rob is happy with the final artwork. In addition to the main design Rob worked on additional images for GRO to use to create more of a range, here are some images of this work in progress. Once Rob and the Gro company were happy with the designs they were sent off to be sampled before the final range was signed off for production. 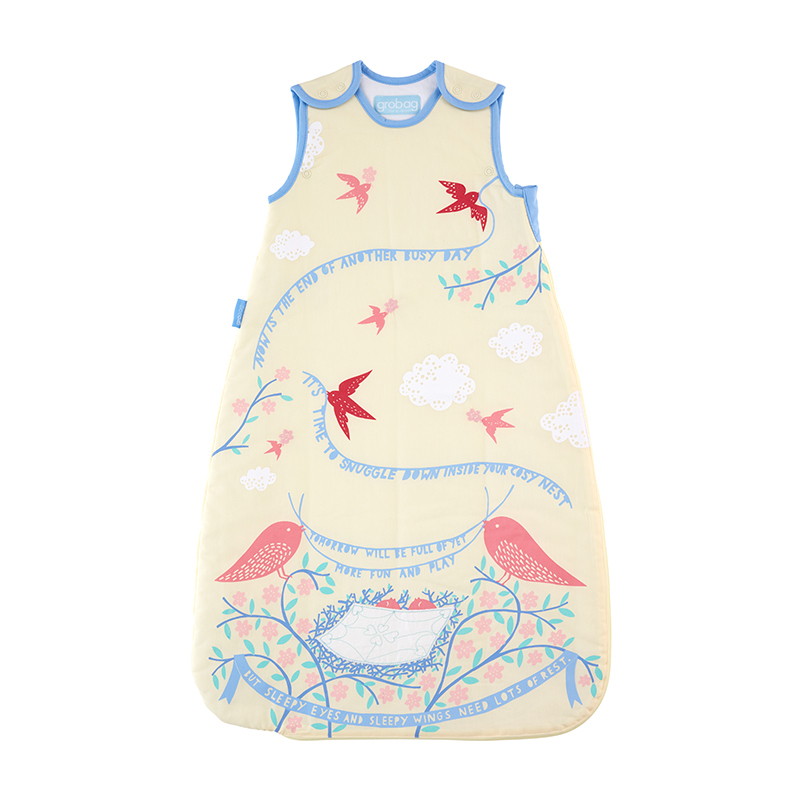 Together the Gro team and Rob came up with three GroSnugs for newborn babies in yellow, blue and pink. 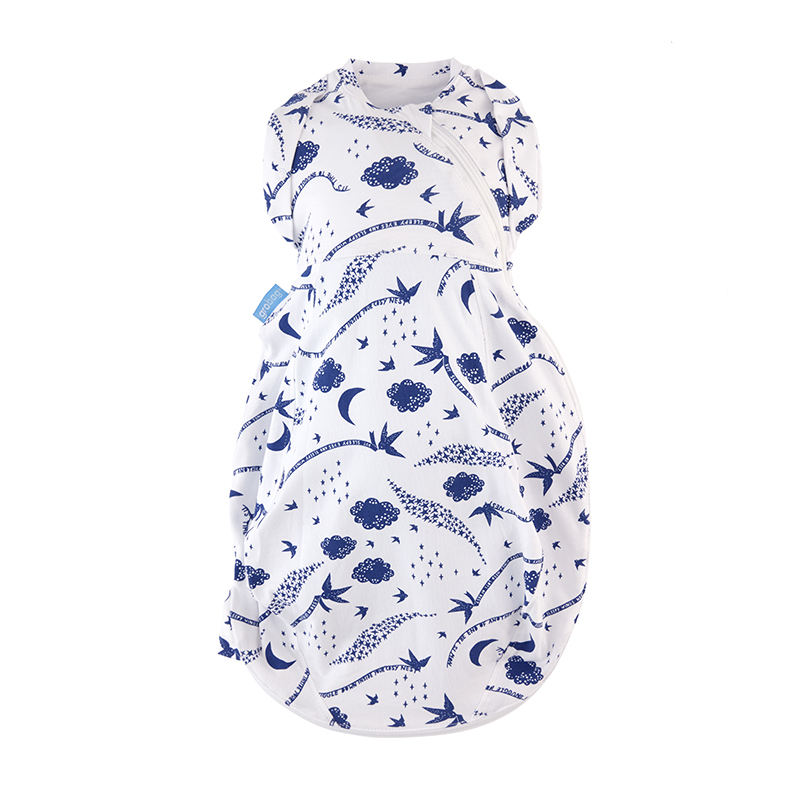 These designs are a simple print onto white supersoft cotton. 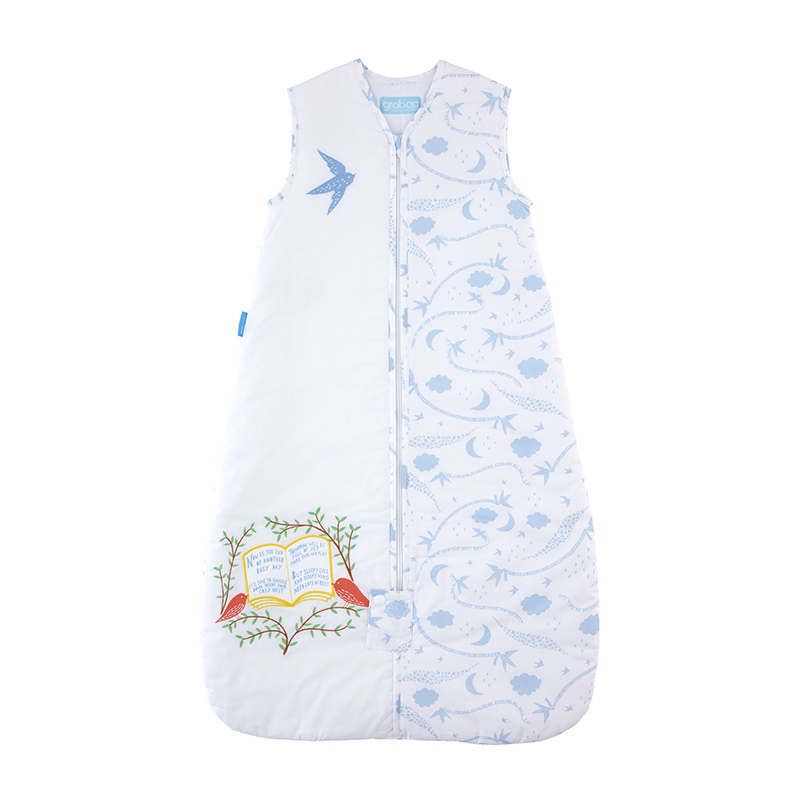 The GroSnug is designed to be used to transition your baby from swaddle to GroBag. 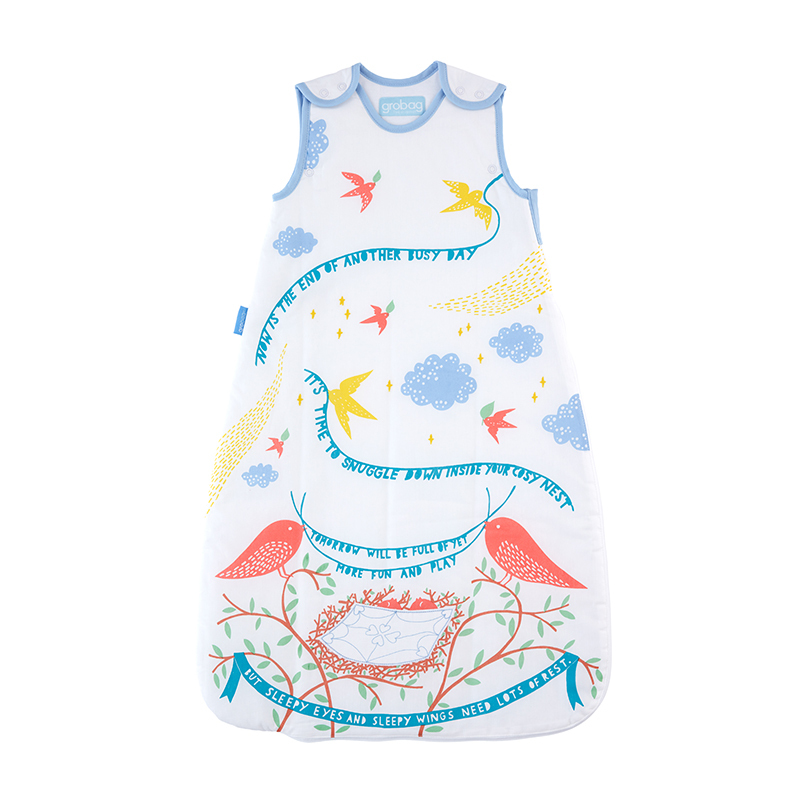 The team also designed two GroBags; each design will be available in blue, yellow and pink. 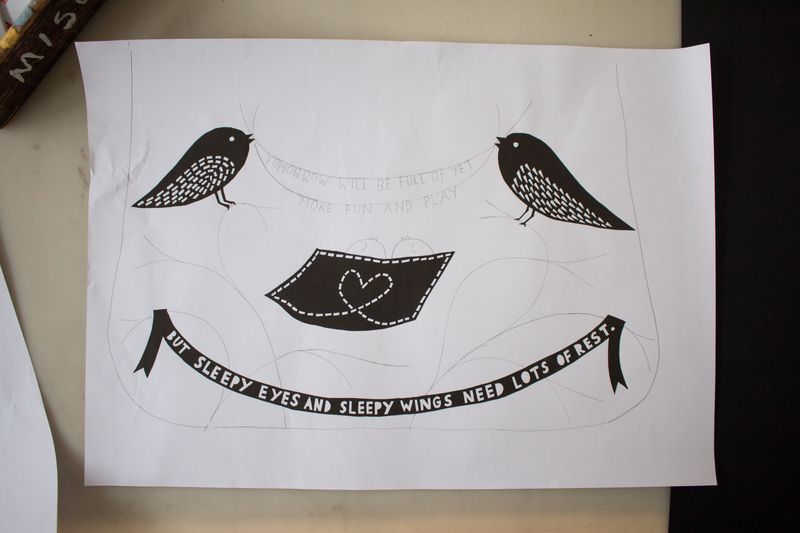 You can see below how elements from Rob’s initial sketch have been used to create two completely unique designs, using a combination of printed fabric and applique. For more behind the scenes information, here is an interview with Rob where he talks more about the collaboration. 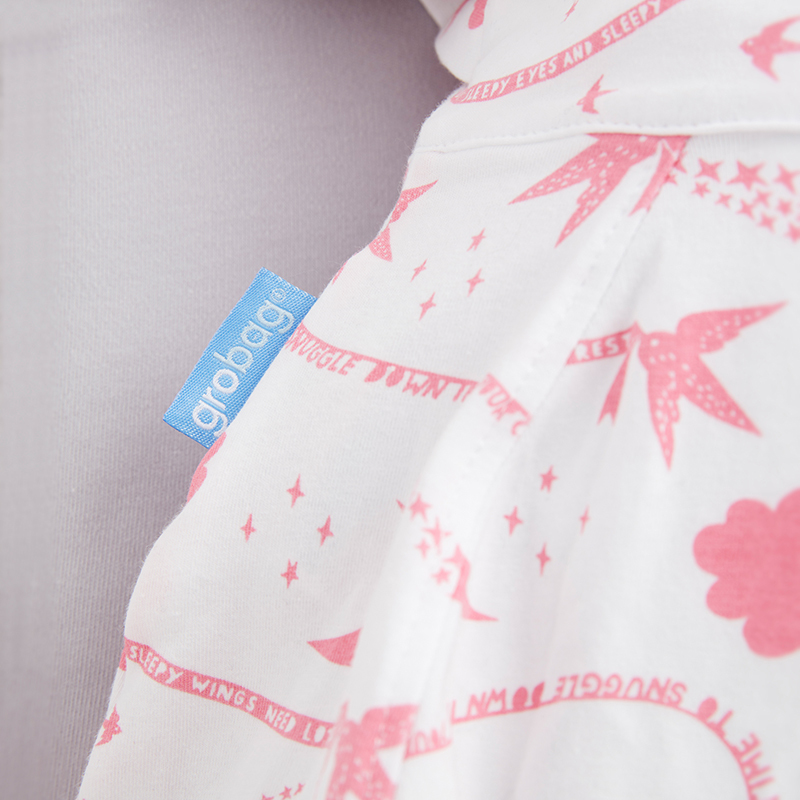 We are so pleased with the collection and are so excited to announce that is available now via The Gro Company website and in all Mothercare stores.